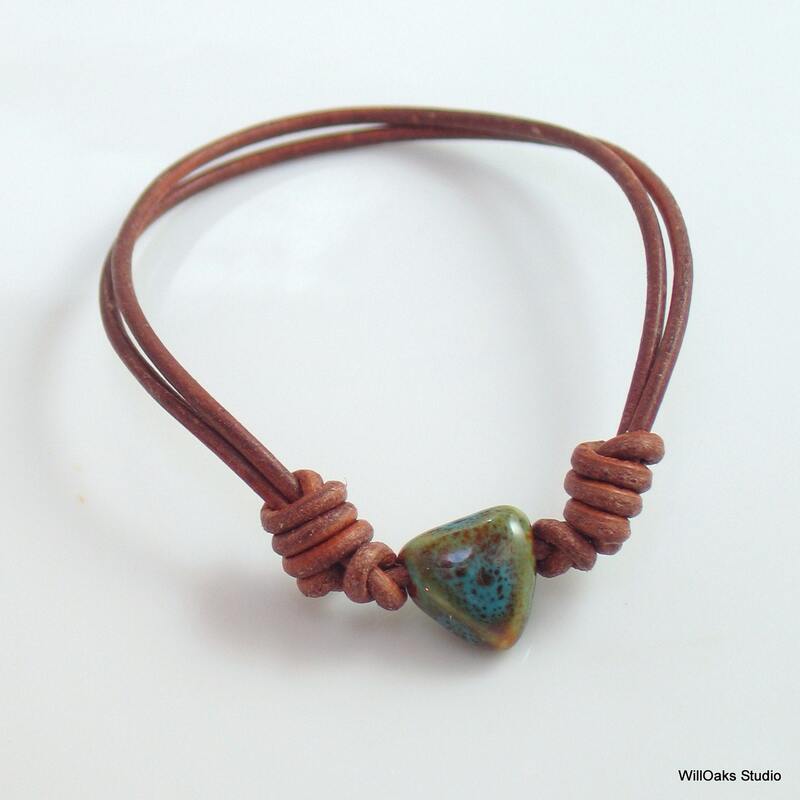 A small collection of little glazed porcelain hearts led me to design a rustic leather choker and cuff bracelet design. 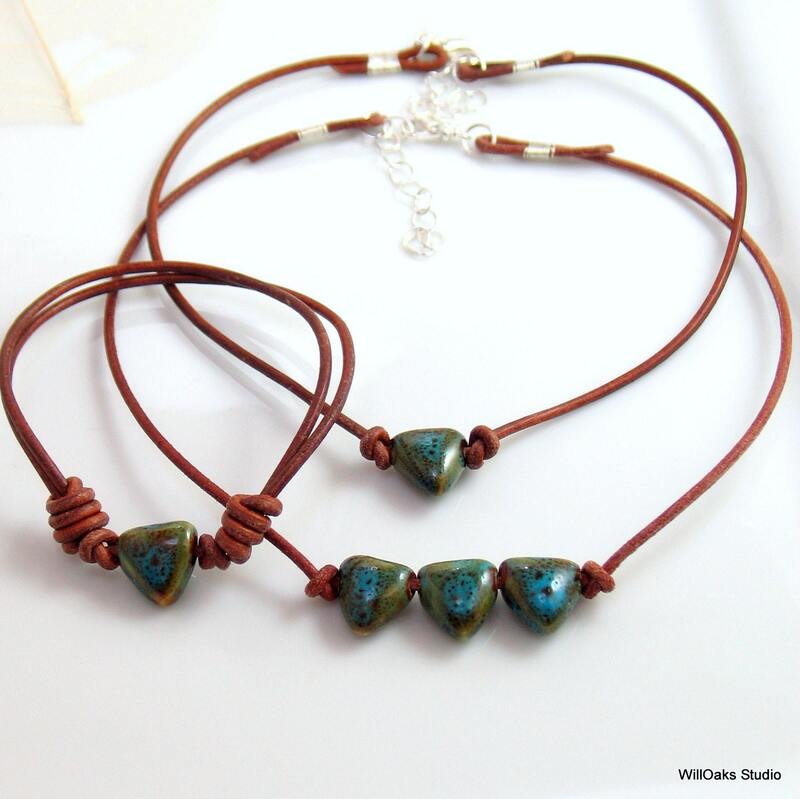 Two millimeter brown leather cord has a natural feeling and each little 8 mm heart has a variable glaze that features shades of blue green. 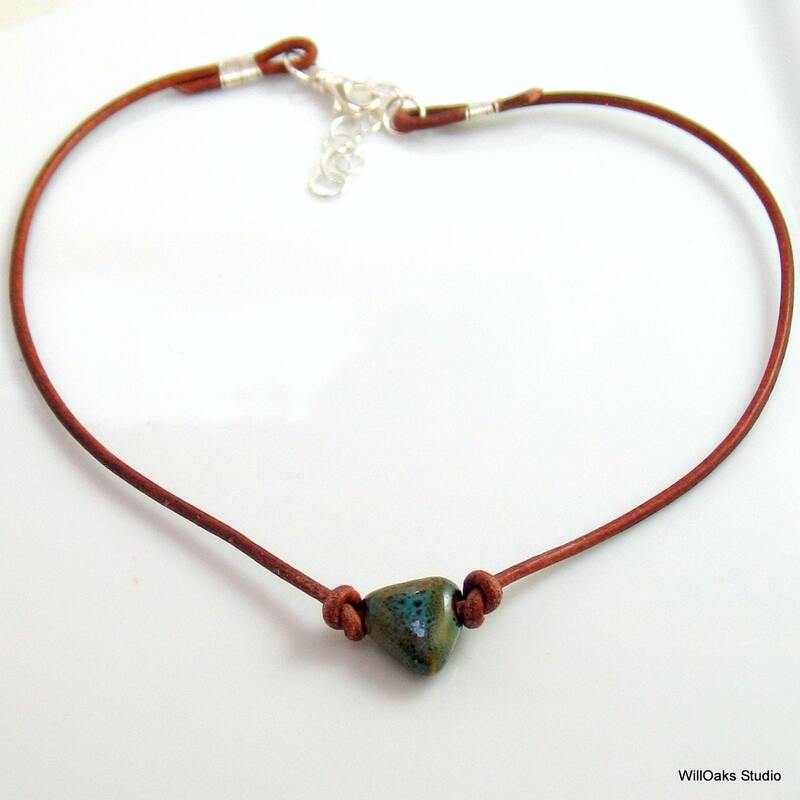 I liked the subtle heart shape with a hand made quality. 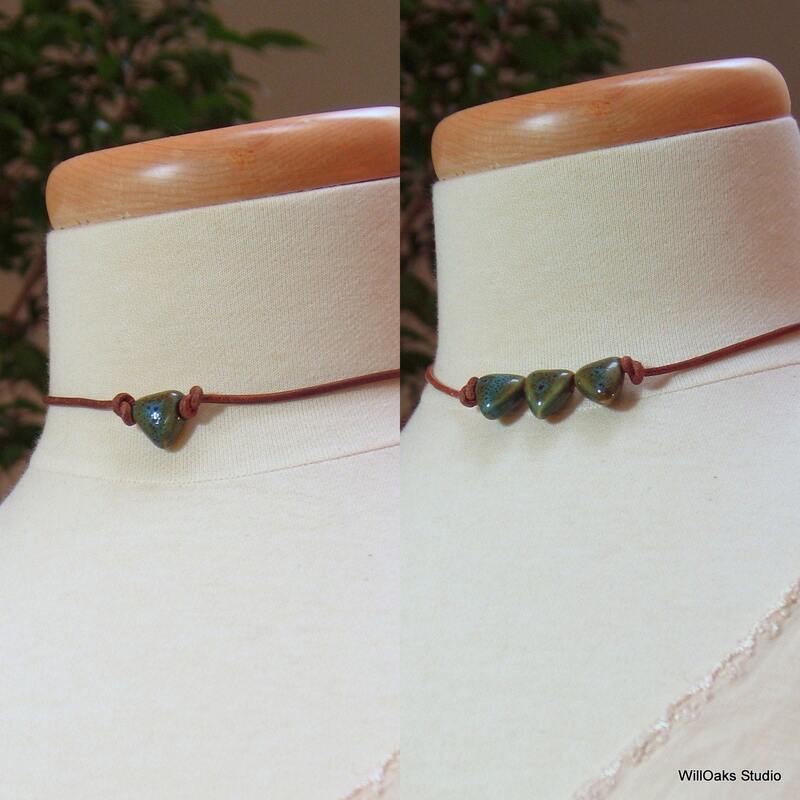 The 15.5" choker features either 1 or 3 hearts captured between 2 knots. It closes with a silver plated brass swivel clasp and 2" extension chain. The choker adjusts from 15.5 to 17.5 inches. The cuff bracelet also features a porcelain heart between knots and it adjusts with sliding knots. Ordered by the smallest size which is when the sliding knots are closest to the hearts. Then, the size is adjusted with knots which slide open to put the bracelet on, then slide towards the heart to tighten as much as desired. Comes ready to give in a small velvet pouch, mailed in a bubble lined envelope. So easy to wear and you can wet the leather to get it to conform to your wrist or your neck so it fits like a glove. Choose 1 or 3 heart choker, a cuff by size, or a set with a cuff and a choker. For the set, please note your choker choice & cuff size in "notes to seller" at checkout. 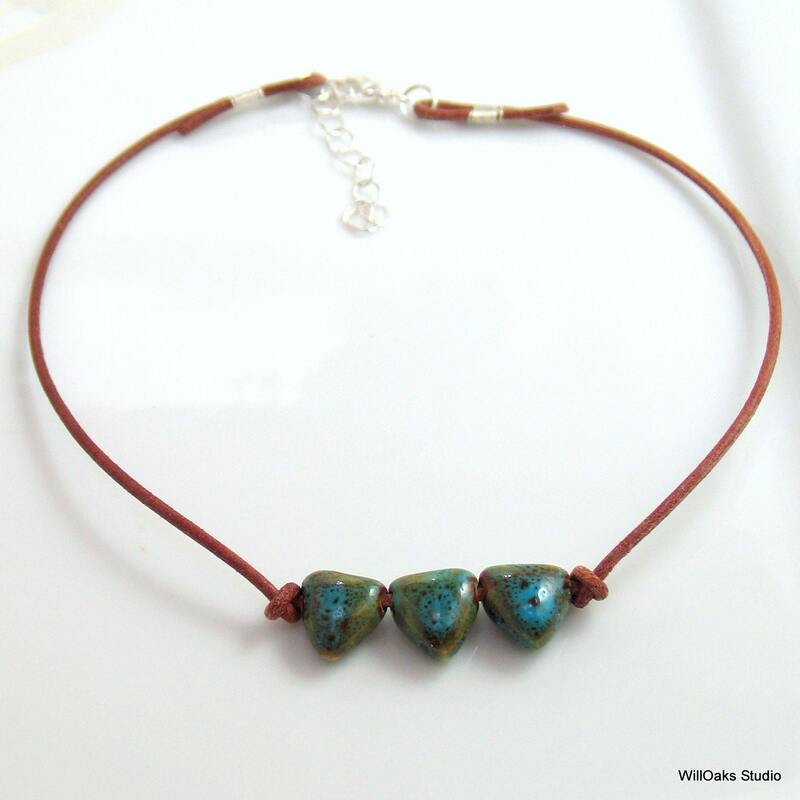 If no selection is noted, I will send a single heart choker & a 7" cuff bracelet. darling bracelet, fits perfectly. wonderful price & superfast shipping!